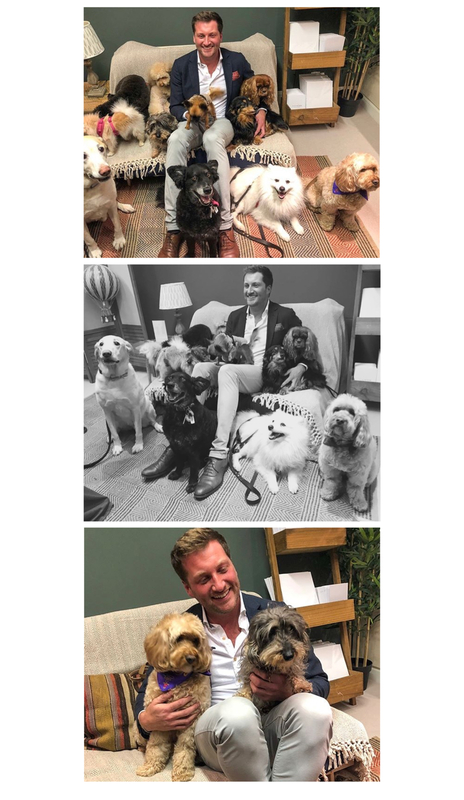 As passionate dog lovers, it was with great delight that we welcomed an army of four legged friends and their stylish owners for a party at our showroom celebrating the launch of County Canine, from leading veterinary surgeon Dr Marvin J. Firth. Hosted in collaboration with the Dogs’ Trust and Rockster, the party drew a crowd of canine companions of all shapes and sizes, including doggy celebrities @ameliathecav and @kodathecloud. An international veterinary chiropractor, Dr Marvin’s new practice offers acupuncture and laser therapy for pain management and mobility in dogs, with Tessa’s own little dachshund Smartie a living testament to his incredible services, who after months of agonising pain and discomfort was like a puppy re-born after just a few sessions with the good doctor.